This paper presents an analysis of an efficient parallel implementation of the active-set Newton algorithm (ASNA), which is used to estimate the nonnegative weights of linear combinations of the atoms in a large-scale dictionary to approximate an observation vector by minimizing the Kullback–Leibler divergence between the observation vector and the approximation. The performance of ASNA has been proved in previous works against other state-of-the-art methods. 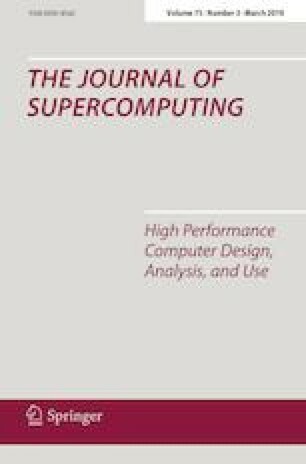 The implementations analysed in this paper have been developed in C, using parallel programming techniques to obtain a better performance in multicore architectures than the original MATLAB implementation. Also a hardware analysis is performed to check the influence of CPU frequency and number of CPU cores in the different implementations proposed. The new implementations allow ASNA algorithm to tackle real-time problems due to the execution time reduction obtained. This work has been partially supported by Programa de FPU del MECD, by MINECO and FEDER from Spain, under the projects TEC2015-67387- C4-1-R, and by project PROMETEO FASE II 2014/003 of Generalitat Valenciana. The authors want to thank Dr. Konstantinos Drossos for some very useful mind changing discussions. This work has been conducted in Laboratory of Signal Processing, Tampere University of Technology.